Step 1 Soak onion in a small bowl of cold water for 10 minutes. Drain well. Step 2 Meanwhile, toast cumin in a small dry skillet over medium heat, stirring, until fragrant, 1 to 2 minutes. Transfer to a large bowl. Add yogurt, tahini, oil, lemon juice, ½ teaspoon salt and pepper; whisk until smooth. 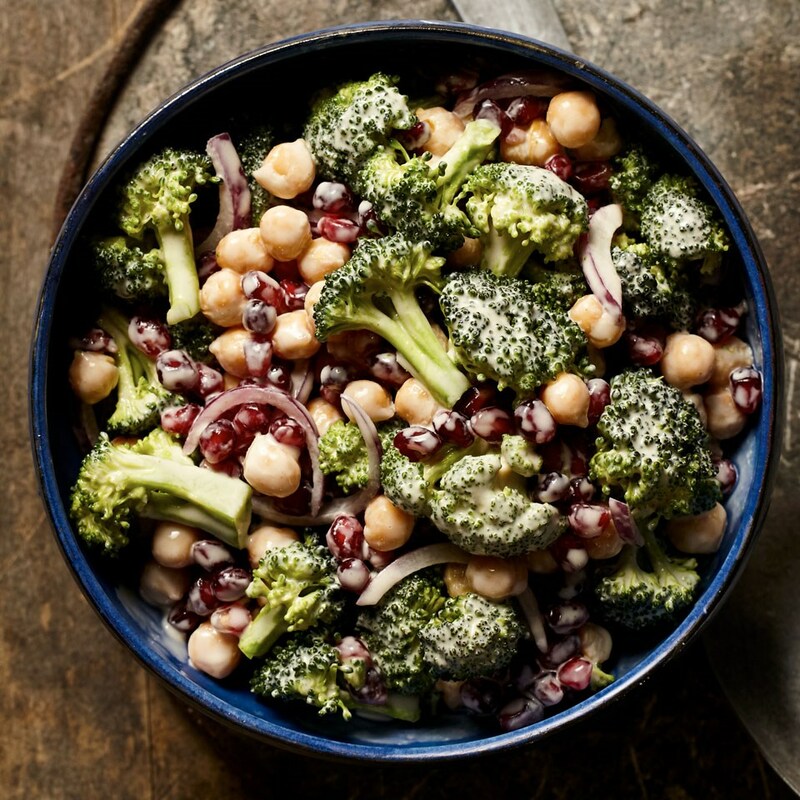 Add broccoli, chickpeas, pomegranate seeds and the onion and toss to combine. Let stand 10 minutes. Season with the remaining ¼ teaspoon salt and toss again. Simple steps give this broccoli salad recipe a more nuanced flavor: soaking the onion tempers its bite and toasting the cumin enhances its aroma. Serve alongside grilled chicken, pork or fish.